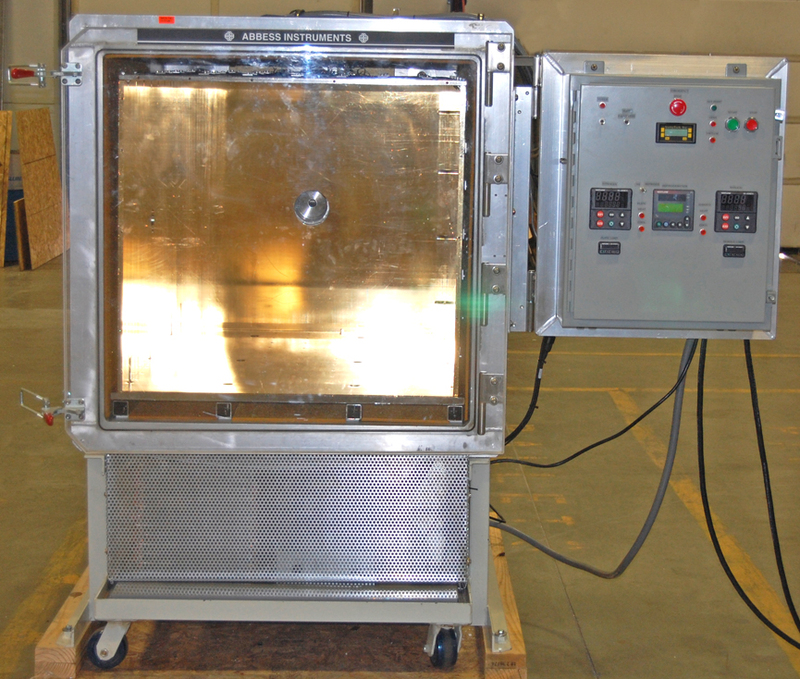 The Abbess Multimode Thermal Vacuum Chamber System serves as a flexible platform for a range of thermal vacuum testing and experimentation methods. Multimode is cooling using 2 different methods. 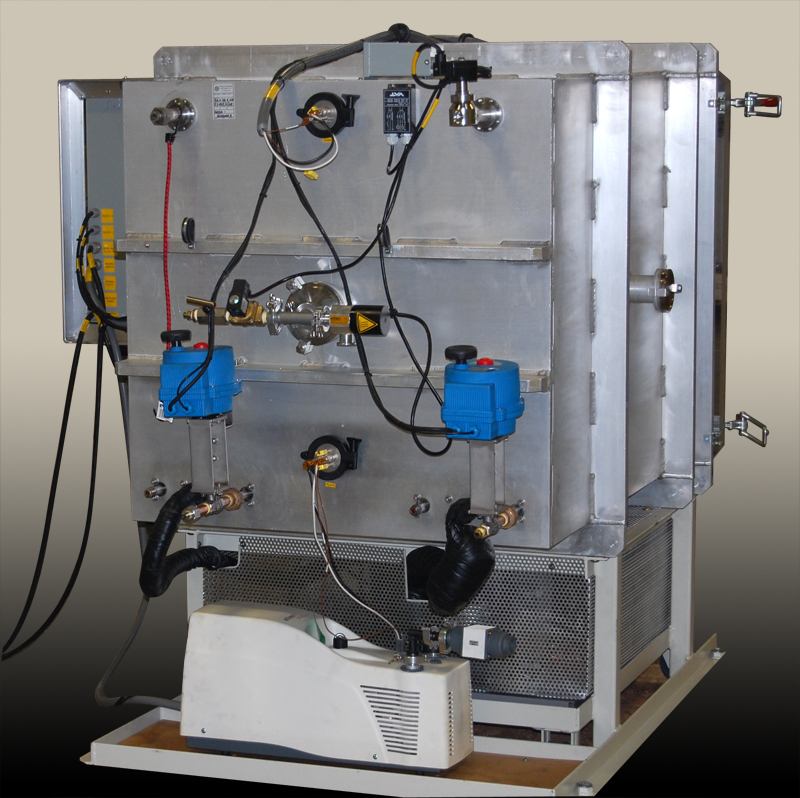 The system combines a high altitude set point pressure simulation with a thermal platen and shroud system. The main thermal platen includes heater cartridges together with two separate and distinct cooling modes. 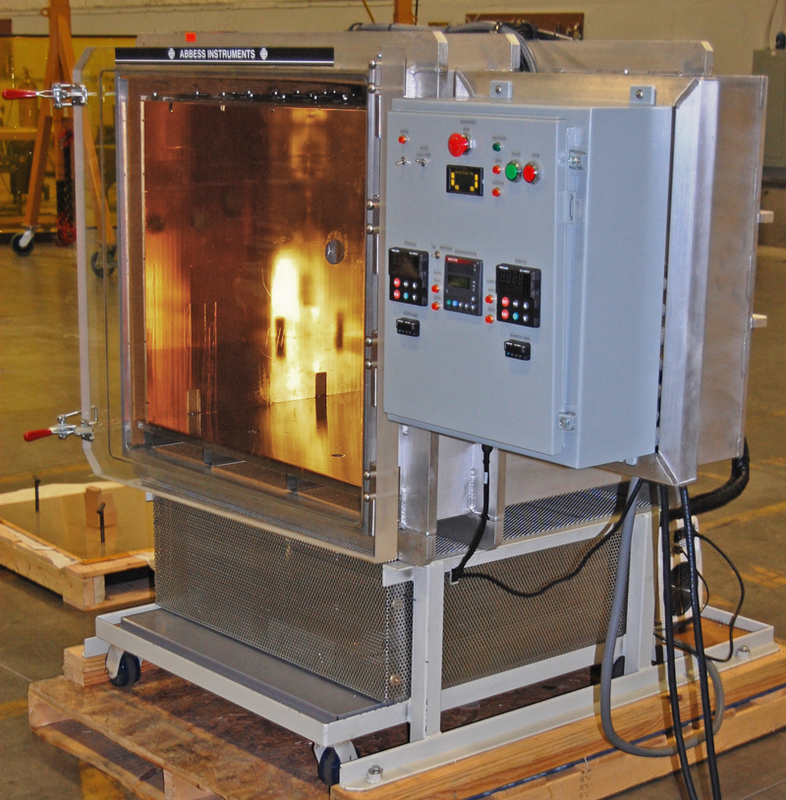 One of which is a closed loop cascade refrigeration system and is capable of plate temperatures as low as -80C. The other is a separate crossflow configuration of piping for LN2 and is situated on the same underside surface of the main thermal platen. 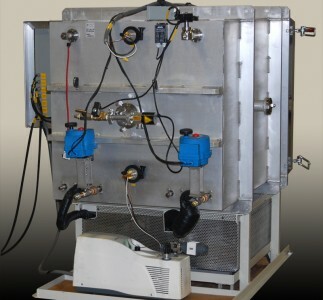 This system, designed for connection to facility supplied liquid nitrogen, is flow regulated by proportional valves and capable of attaining a plate temperature of -180C. Each of the thermal modes are controlled by a dedicated PID temperature controller which controls the cooling and heat resources for set point and ramping control. 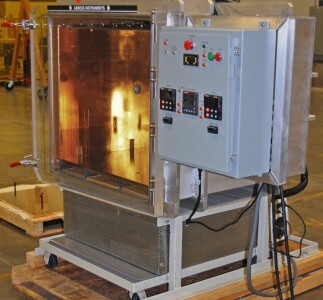 The insulated thermal shroud is also controlled and monitored separately by its own dedicated PID controller and employs a liquid nitrogen circuit controlled by cryo solenoid valves and cartridge heaters. 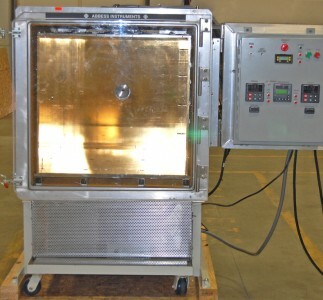 With each subsystem within the chamber environment afforded distinct control, and process ports located to enable a variety of sensor and control feedthroughs into the chamber, the Abbess Multimode Thermal Vacuum System is adaptable, with minimal changeover and retooling, to a multiplicity of lab end uses.